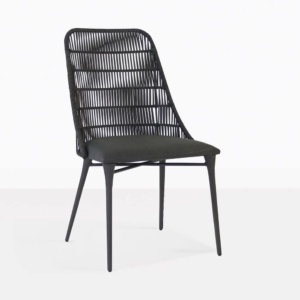 Retro chair is a perfectly modern, angular and slim outdoor dining chair that offers bold styling, cool looks and superior functionality. The small footprint and slim profile make this dining chair something quite special to look at. 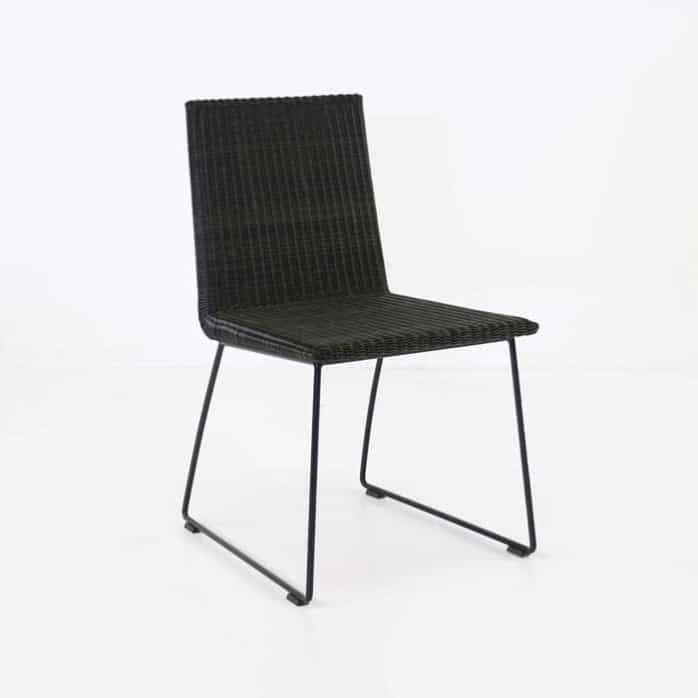 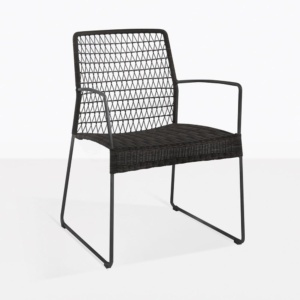 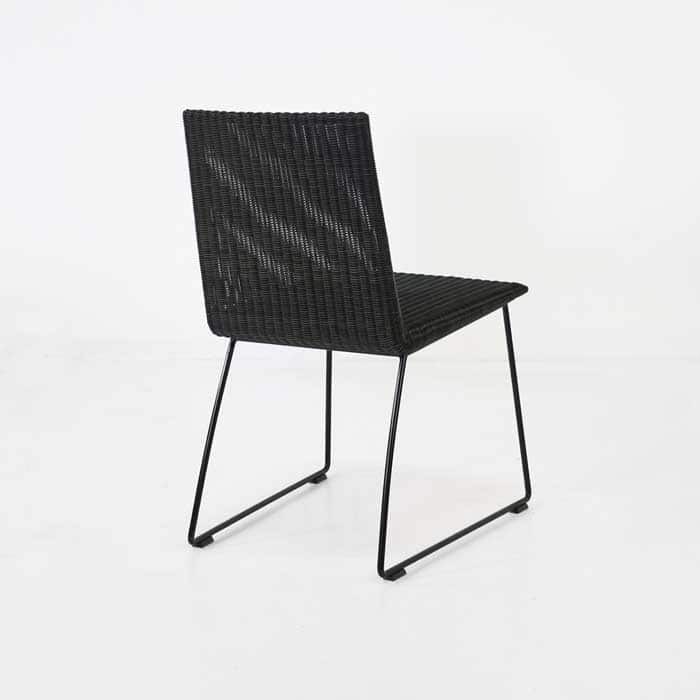 The dark “Cocobolo” wicker weave is a gorgeous color profile for any outdoor space and the maintenance on this beautiful dining (side/armless) chair is minimal, just like the style. 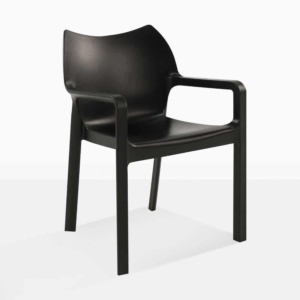 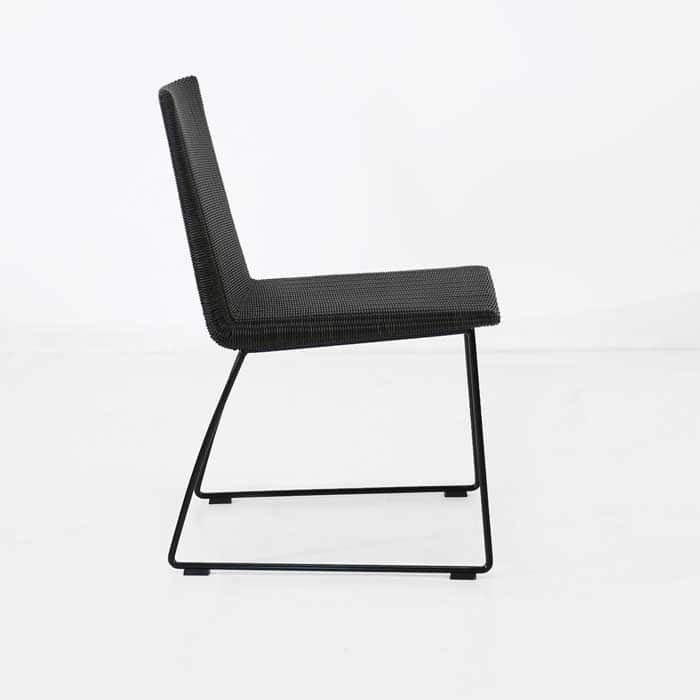 It offers a nearly perfect combination of modern and contemporary styles, with high-tech materials, a solid build and impeccable attention to detail, in a comfortable, good-looking chair. 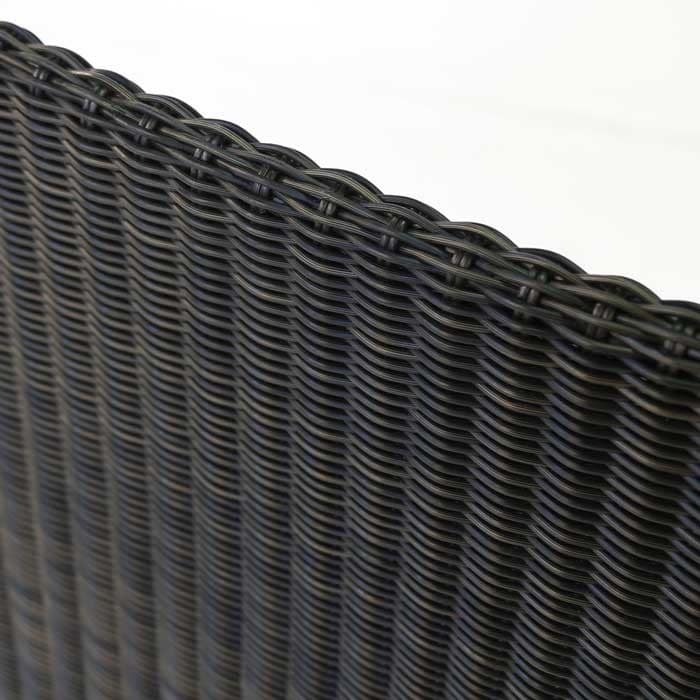 Powder-coated steel frame and “Cocobolo” colored synthetic outdoor wicker.